Every time I see a video with a military member coming home and reconnecting with their family (or their dog), the waterworks start. So when I was given the opportunity to tell you all about the Marie Callender’s Comforts From Home campaign, I jumped at the chance. 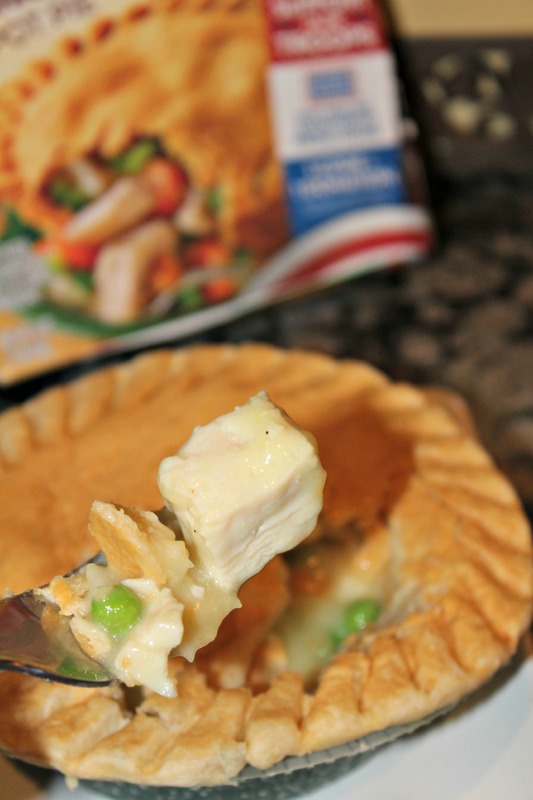 First off, I eat Marie Callender’s Chicken Pot Pies all the time. They are the perfect size and always hit the spot when I need a good, quick meal. Two, any opportunity I have to help out our military personnel, I am all over it. 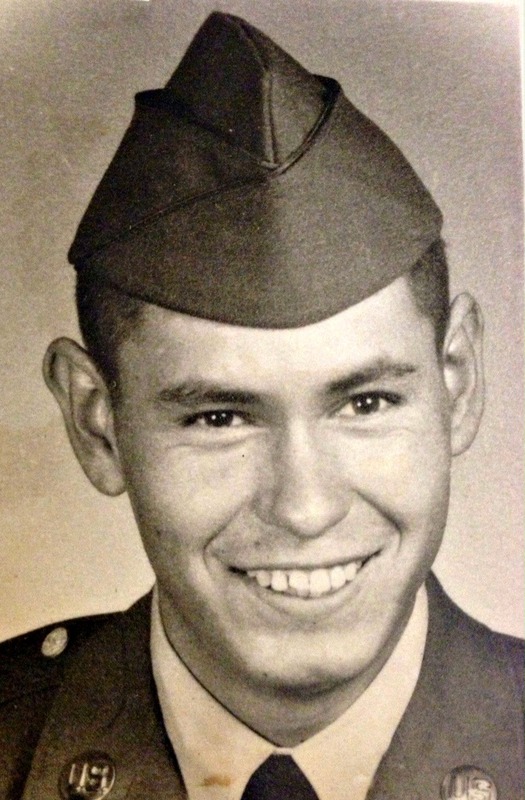 My dad was in the military and I love hearing his stories of he and his buddies during their service. Even though he was away from his family, he and his friends tried to make the best of their time away. I am so glad that he had some close friends in the service with him so they could all be together when they were away from family during the holidays. Marie Callender’s is also there to bring heartwarming feelings, flavors, and favorites of home to those who miss it most through their Comforts From Home Project. 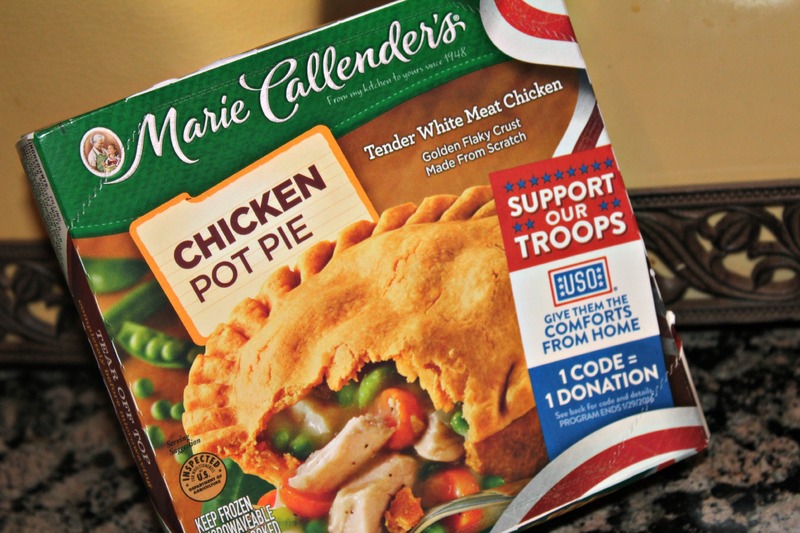 This fall, Marie Callender’s announced they were bringing back this wonderful project in partnership with the United Service Organizations (USO). When you are out shopping for your favorite Marie Callender’s homemade meals and desserts, look for specially-marked packages. Each package purchased will help bring the comforts of home to the brave men and women of the U.S. military. From September 1, 2015 through January 29, 2016, you can choose from one of the more than 51 million specially-marked Marie Callender’s frozen meals or desserts to help out our military personnel overseas. Once you purchase your favorites, go online and enter the code found on the back of the specially marked boxes. It’s easy to do it from your computer, phone or tablet. 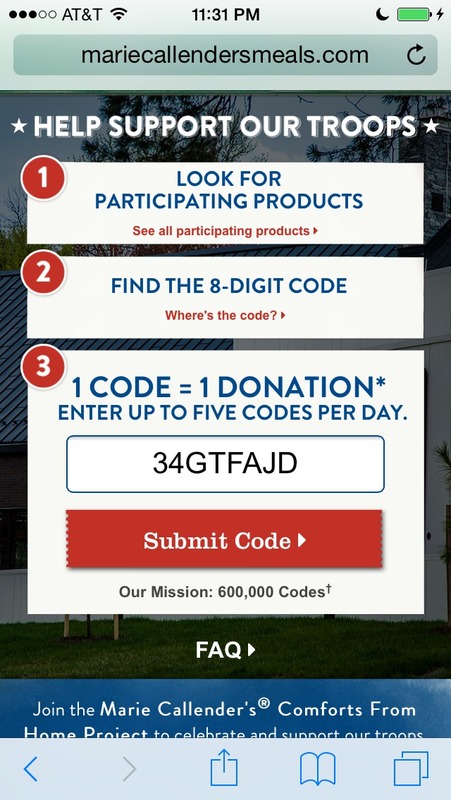 For each code entered, Marie Callender’s will make a $.50 donation to the USO Operation Celebration program, up to $300,000. Through your help, military personnel serving overseas will be able to have a “home away from home” during the holidays. The USO Operation Celebration program offers seasonal meals, company, entertainment and a chance to relax away from the stress of active service. If you want to see how many codes have been entered to date or find a list of participating Marie Callender’s products, visit the Marie Callender’s website.